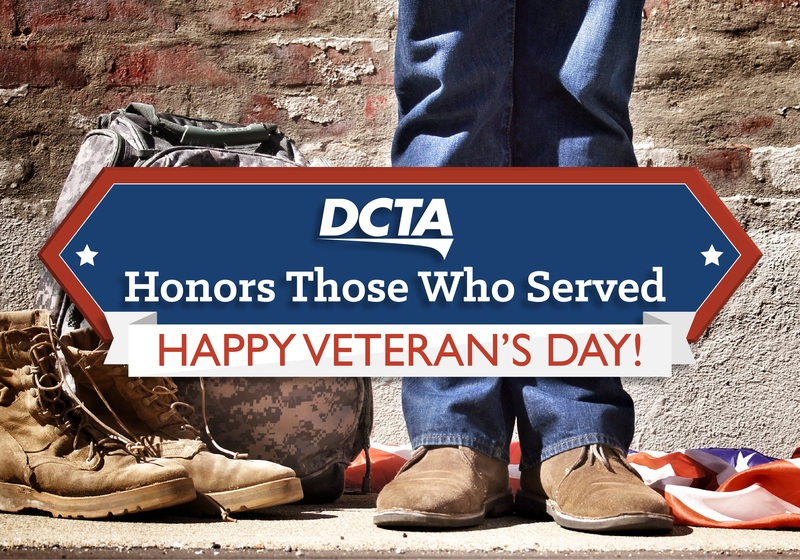 From DCTA: Thanks Veterans for Your Service! Are you a veteran or active military personnel? We’d like to show our appreciation by providing you with FREE RIDES today on our services. Just show your military ID or discharge papers on the A-train, Connect Bus, Connect Shuttle, or UNT Campus Shuttle. Thank you for serving our country, and happy Veteran’s Day!